Halloween is a fun and spooky time that kids especially enjoy. While yours may not yet be old enough to carve their own pumpkins (although they certainly can enjoy removing the "guts"), there are still plenty of age-appropriate crafts and activities for your toddlers and preschoolers to try. From painted mini pumpkins and popsicle stick spiders to ghost bowling and creepy sensory bags, you'll be sure to find ideas for lots of Halloween fun this year! Your toddler may not be old enough to carve yet, but that doesn't mean they have to miss out on this quintessential Halloween activity! This fun and easy no-carve idea is a great way to let those creative juices flow. 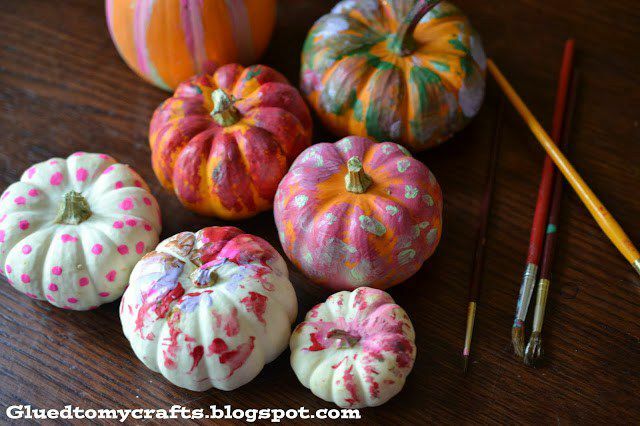 Simply set up a safe craft space with pumpkins, paint and brushes ready-to-go for your child, so they can go to town! What young child doesn't love dipping their fingers, hands or feet into some paint? There's a reason hand and footprint crafts are so popular! These playful ghost footprints will get your kiddos in the holiday spirit. Check out the 3 other ways you can turn hands and feet into fun Halloween art. This Halloween activity is especially great for the younger kiddos–just be sure to always supervise as your child plays. Your little one can poke and squish at the bag, exploring the creepy contents to their heart's content. Recycling your old CDs has never been more fun nor silly! Put on the Wizard of Oz on a weekend afternoon, pop some popcorn and help your child transform that old mix tape from 1999 into a clever Halloween craft. This suncatcher craft is a great way to get your kids involved with Halloween decorating. They'll be awed by the way the light plays and changes with the tissue paper throughout the day. Be sure to cut up the tissue paper pieces ahead of time or help your child with the cutting, using kids' scissors. Your toddler will love both making these ghosts and knocking them over in this fun Halloween-themed game! 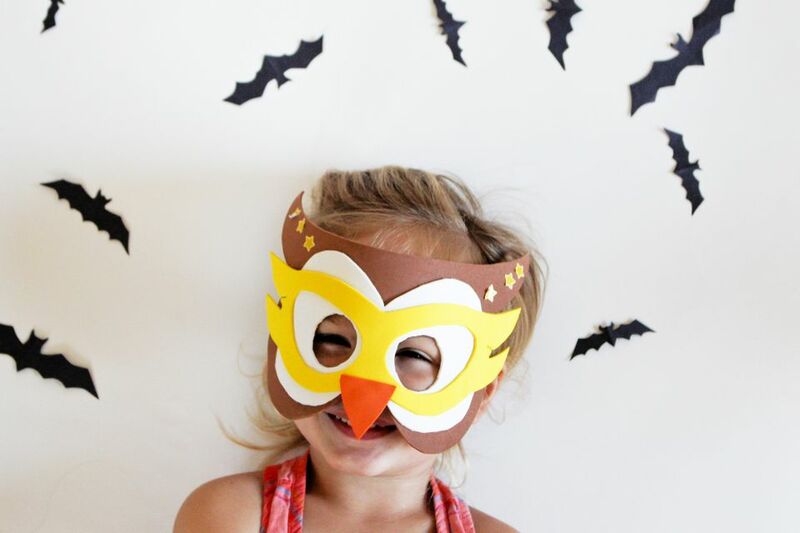 This learning activity will keep your preschoolers occupied all October long! Simply hide the pumpkins around the house and send your child off to find them. Once found, they can match the number on the pumpkin to the number on the sheet. This no-cook playdough recipe is a timesaver, so both you and your child will reap the rewards of this craft. They can roll it, mold it and mix in fun Halloween elements like green and purple pipe cleaners and little black spiders. This craft only requires a few supplies, which you most likely already have on hand. Draw the shape of your mummy on construction paper and let your toddler cover the mummy in masking tape (no need to worry about taping outside the lines since you'll cut out the mummy when your child is finished). Add googly eyes for the finishing touch. While this craft is appropriate any time of year, we love the spooky skeleton effect for Halloween time. Teach your kiddo about the human body as they glue together these phalanges.